If you’re like most Americans, you probably have a hard time remembering the last time you bought a CD. And rather than downloading songs and albums from iTunes or Amazon, you probably find yourself listening to Pandora, Spotify, iTunes Radio or another music streaming service instead. We’re moving into a world where our music libraries exist entirely in the cloud. We no longer own music we love; we stream it whenever and wherever we want. At the same time, the federal regulations that govern how music is licensed — and thus, how songwriters like me are compensated for our work — don’t reflect the way people listen to music today. Indeed, they are stuck in the distant past. And it’s threatening the future of American music. You might ask, what does the federal government have to do with music licensing? As it turns out, a lot. For starters, there’s the U.S. Copyright Act, which hasn’t been updated in more than a decade. And then there are the decades-old legal agreements, or consent decrees, that govern operations of ASCAP and BMI, the nation’s two largest performing-rights organizations (or PROs), which track music usage and collect royalties on behalf of songwriters and composers. Established in 1941, the consent decrees lay out strict rules for how PROs must operate in the marketplace, and how songwriter compensation is determined. But the last time the ASCAP consent decree was amended was in 2001, before the iPod even hit stores. We all know that the music marketplace has changed dramatically since then. And new music services are finding ways to take advantage of this outdated regulatory system. Consider the fact that streaming music giant Pandora pays a songwriter, on average, nine cents for playing their song 1,000 times. Meanwhile, record labels and artists often earn 12 to 14 times more than songwriters for the exact same stream. Such an imbalance would not happen in a free market, where real competition exists and songwriters have more control over how our music is licensed. 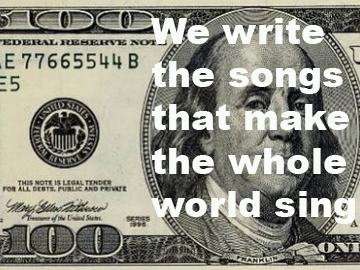 But under the current consent decree system, songwriter compensation reflects the true value of our work less and less, even as our music is being played by more people and over more devices than ever before. Because the current system has failed to generate free market rates for digital services, major music publishers are considering withdrawing from ASCAP and BMI entirely. There is a very real risk the entire system of voluntary collective licensing will soon collapse, leading to more fragmentation, increased inefficiencies and higher costs for everyone, including consumers. Unless we do something to fix it. As an organization that has played a central role in the growth of the American music industry over the last century and now represents more than 500,000 songwriters, composers and music publisher members, ASCAP has been urging policy makers tomodernize the music-licensing system. Fortunately, those efforts are gaining momentum. Most notably, the Department of Justice has recently opened a formal review of the ASCAP and BMI consent decrees. The U.S. Copyright Office is conducting a study to evaluate the effectiveness of the current music-licensing system, including specifically the ASCAP and BMI consent decrees. And the Songwriter Equity Act, introduced by Rep. Doug Collins (R-Ga.) in February to amend two outdated portions of the Copyright Act, is steadily gaining bipartisan support in both the House and Senate. Last month, the U.S. House Judiciary Subcommittee on Courts, Intellectual Property and the Internet held two hearings focused on music-licensing issues. I was honored to testify on behalf of songwriters, and I shared three very specific ways we’re asking the DOJ to update the ASCAP consent decree. First, we need a faster, less-expensive process for settling rate disputes with businesses that use music, which considers independent agreements reached in the free market as benchmarks. Second, we should provide songwriters with crucial flexibility to manage their own rights. Permitting them to grant ASCAP the right to license their music for some uses, while maintaining the right to license other uses directly, would provide songwriters with more control, and would foster competition in a rapidly changing marketplace. Finally, we can streamline the licensing process for thousands of music creators and users by giving ASCAP the ability to license all of the music-composition rights a business needs to operate their service in one transaction. In order to ensure a strong future for American music, we need a music-licensing system that works the way we will be, not — to paraphrase a great songwriter and friend — the way we were. Working together, I am confident that we can preserve the immense benefits of collective licensing for businesses that license music and for listeners who enjoy it, while ensuring that songwriters, composers and music publishers are compensated for the true value their music brings to the marketplace.